DUBAI, DUBAI, UNITED ARAB EMIRATES, March 24, 2019 /EINPresswire.com/ -- Podcasts have become one of the most powerful information tools of the digital age. Starting out as an offshoot of radio, podcasts were primarily an entertainment medium, but have since expanded to focus on business, politics and more general topics. For any industry, podcasts can be an effective way to reach a broad spectrum of consumers, providing the sort of in-depth information and insights that you would not be able to include on a website or brochure. LuxuryProperty.com, a luxury brokerage and dynamic digital destination headquartered in Dubai, has already established a strong online presence through content platforms across different media, including a very successful Youtube channel. Starting in 2019, the firm has launched its own dedicated podcast, The Luxury Property Show. Taking an inside look at the workings of the luxury real estate market with special emphasis on Dubai, London and New York, The Luxury Property Show supplements the LuxuryProperty.com brand through broadcast content that is engaging, entertaining and ultimately, informative. The show is produced fortnightly and brings on board experts in the field of luxury real estate and other key industries. Guests on the show so far have included Ian Hollingdale, Sales Director of LuxuryProperty.com with close to 15 years of experience in the Dubai market, and Christopher Schutrups, the Managing Director of UAE’s leading mortgage consultancy Mortgagefinder. 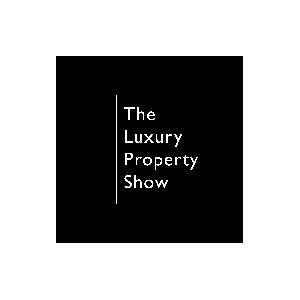 The Luxury Property Show is available to stream on iTunes, and can also be found on other streaming platforms such as Google Podcasts, Spotify and Breaker.